Louis Zamperini’s story is unequivocally one of the more remarkable out there. 2nd generation Italian-American, Olympic athlete, survivor of a wreck at sea, survivor of a Japanese prison camp during WWII, and later a post-war peacemaker. Pretty incredible. And so is director Angelina Jolie’s movie, at least insofar as it is chronicling that life. Regardless of the medium, Zamperini’s story is inspirational for its celebration of human endurance, both physically and spiritually. The appropriately-titled Unbroken is also well-photographed, features a cast of rising stars, and adds some meaningful commentary about the degradation war forces on those who fight it. 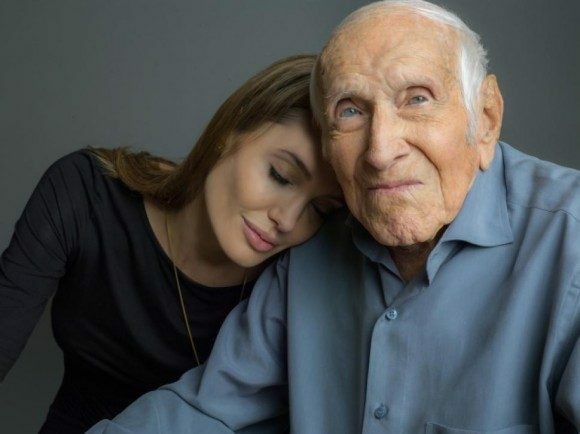 Mostly, though, Jolie keeps Unbroken focused on Zamperini the man without casting any wider, which cuts both ways as it makes for a good story but fails to find the sort of deep-seated significance that might elevate Unbroken to something greater. Structurally, Unbroken attacks Zamperini’s story in a fairly straightforward manner, opening on his airplane on a bombing run in the Pacific during Word War II. Some flashbacks show Zamperini’s hard-knock upbringing that laid the foundation for both his athletic prowess and indomitable spirit, as well as his rise as a track star and competition at the 1936 Olympics in Berlin, but for the most part we’re only shown his wartime exploits. A search-and-rescue mission gone awry maroons Zamperini and two other crewmembers on life rafts in the open ocean for more than a month before they’re found by the Japanese as the movie transitions to its second half. The film is led by Jack O’Connell as Zamperini (yes, that’s an Englishman playing the Italian-American), and here’s an actor you want to keep an eye on. If you managed to see the British film Starred Up, you already know O’Connell’s talent and he makes the most of an occasionally limited role here. 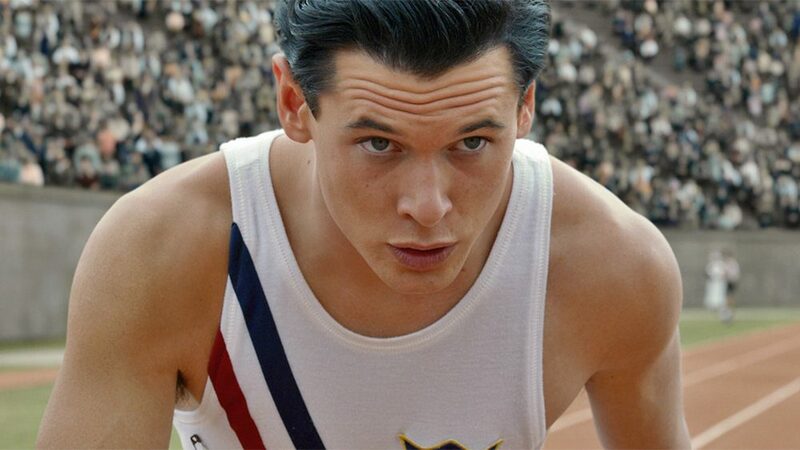 His best work comes near the end of the film with Zamperini at his physical and emotional limits, but O’Connell always is mindful of Zamperini’s humanity. It would be easy to make Zamperini the unflappable paragon of resilience, but while his determination rarely flags, his success never seems assured. 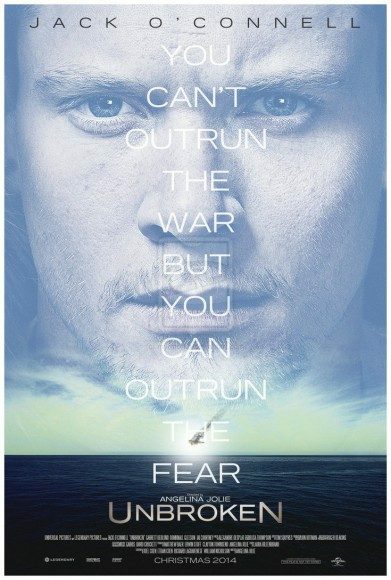 O’Connell is always aware of Zamperini’s own mortality and fallibility, and it’s the difference between a quality feature film and move made for the Hallmark Channel. With the film split roughly into halves with the before-internment and after-internment, two other actors figure in as the key supporting players. First is another Brit playing an American (and fellow rapidly rising star) Domhnall Gleeson (About Time) as Zamperini’s crew mate Phil, one of the other men who survives the crash at sea with Zamperini. Like O’Connell, there’s a strictly defined limit to how much Gleeson can bring to a role that’s more about the narrative than the characters, but Phil is consistent in his quieter strength that complements Zamperini’s more vocal leadership nicely. This character dynamic is especially interesting when Phil exits the picture, because he’s replaced with POW commanding officer Fitzgerald, played by Garrett Hedlund (TRON: Legacy), who takes over the marshaling of the group while Zamperini becomes their quietly suffering figurehead. 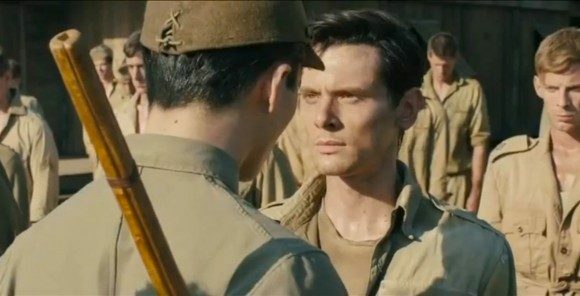 As the movie transitions to Zamperini’s internment in Japanese POW camps, Unbroken also begins to bring forward the thematic element of war’s debilitating effects on its warriors. There are little hints here and there early in the movie – Zamperini is the bombardier on his aircraft, i.e. the one who’s actually aiming and releasing the payload, and there’s something decidedly uncomfortable about the way he talks about lighting up the target “like Christmas” – but it only comes home later. There’s a parallel scene to that opening bombing sequence where Zamperini and other prisoners are marched through a recently bombed Japanese town, and the destruction and death incurred is immediate. It’s only there for a moment, but Zamperini visibly registers the effect of his former occupation for the first time. The more present embodiment of the dehumanization of war, however, sits in the person of the Japanese commander known as “The Bird” who oversees Zamperini for most of his internment. “The Bird” is cruel, frequently beating Zamperini as an example to the other prisoners, singling him out and determined to break the spirit of the American Olympian. Since this is Zamperini’s story, there’s inescapably a bias towards the American servicemen (their violence is borne of duty while Japanese violence is borne of cruelty), but “The Bird” is still a passable stand-in for mankind at large, and for the soul-wrecking work of forcing another to suffer. This is also where the twin edges of the movie’s decision to focus on Zamperini’s wartime life also come into sharpest focus. On the one hand, the plot is well-rounded while centering thematically on Zamperini’s endurance. On the other hand, in doing so it misses the opportunity to also speak more about the reparative nature of forgiveness, which would close the circle on “The Bird’s” self-destructive hatred. The real life Zamperini suffered from severe PTSD upon returning to the states, descending into substance abuse before eventually forgiving his former captors and meeting a number of them personally later in his life. Unbroken acknowledges this with text at the film’s conclusion, but it also reopens Zamperini’s story in a way that made me want to experience that chapter of his life, too, instead of reading a few lines about his PTSD. Unbroken is a deeply engaging tale of one man’s physical, mental, and spiritual endurance through unthinkable trials against both nature and his fellow man, but it also struggles to expand its scope much beyond that singular experience. And so the movie is left trying to resolve a paradox: to expand its significance might well destroy the construction of its narrative, while the well-defined scope of its narrative is one of the more satisfying parts of the film. It leaves Unbroken feeling as though there was some unrealized potential, but quality technical work and a strong leading performance by Jack O’Connell mean Unbroken remains a sympathetic and well-told story.